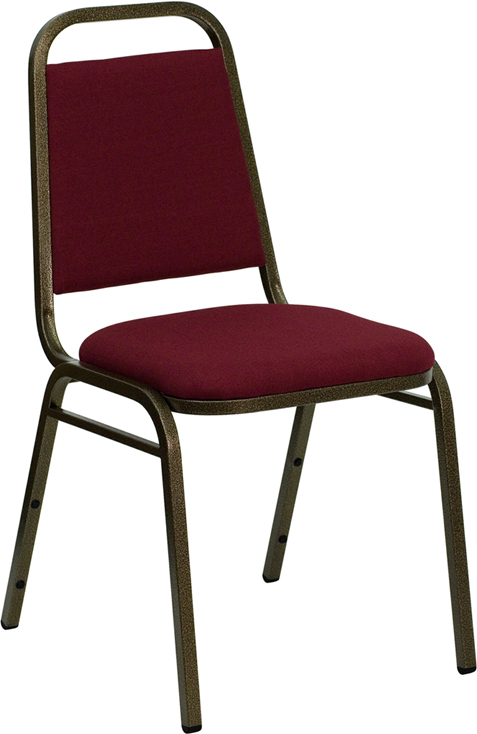 These economy burgundy fabric stacking chairs have a textured gold frame. They stack up to ten chairs high. Application include office, home, bowling alley & more!